Disclaimer: Hana Tajima. Photo via New Straits Times. Cropped. 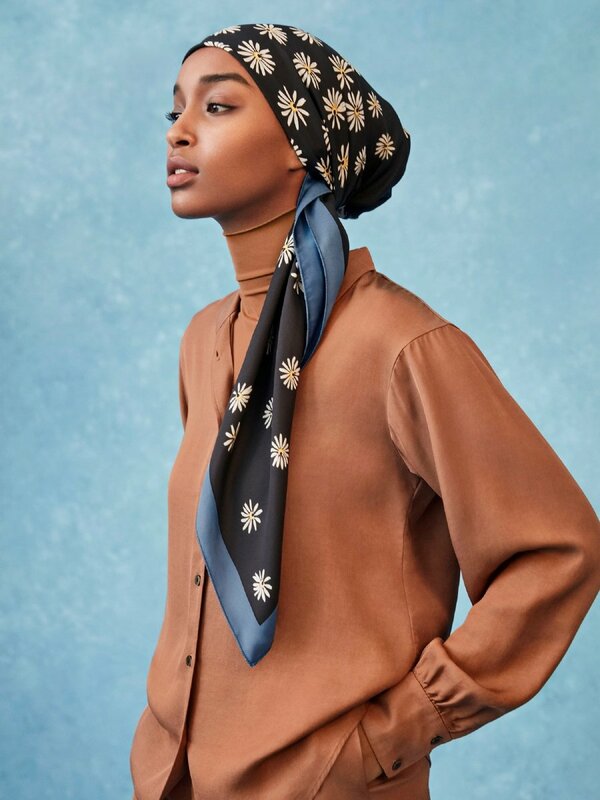 SINCE 2015, stylist Hana Tajima, has designed a modest collection for Uniqlo that embodies a rich sense of cultural diversity. 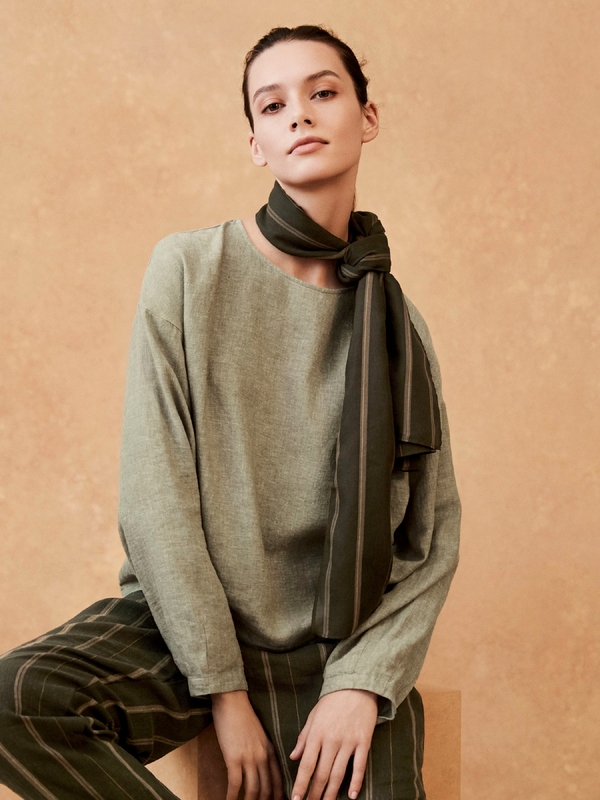 What started out as a regional collection has bloomed into a global one, featuring elegantly simple yet considered pieces, offering comfortable, versatile clothing for women from all backgrounds. Here, she shares her thoughts about her journey so far and why she wants to give voice to women. HOW HAS YOUR COLLECTION GROWN IN TERMS OF DESIGN AESTHETICS? There has been a process of refinement, of breaking down the elements of each design and keeping only the most important aspects. There are also certain design signatures I’ve developed that make this collaboration distinct. There is a simplicity that found its way into each design, but at the core there is heart. Each piece represents the hands and minds that have gone into making it, and the person who will wear it and carry it into their lives. WHAT HAVE YOU LEARNT ABOUT YOURSELF THROUGHOUT THIS JOURNEY WITH UNIQLO? As soon as it becomes collaborative you have to know your reasoning. It’s an incredibly powerful thing to be constantly reflecting on your decisions. It leads to better design, to truer design. WHAT HAVE YOU OBSERVED ABOUT THE FASHION TRENDS AMONG HIJABIS AND THEIR SENSE OF STYLE? There is something fascinating about witnessing hijabi fashion trends as a microcosm of mainstream fashion. Trends are transient, and style is enduring. It’s the same thing in every other area of fashion. In trends you see a lot of people expressing someone else’s idea. In style you see an expression of someone’s voice and personality. That’s why I want to design clothes that are simple, versatile and timeless as opposed to trend-led. My favourite thing is to see someone wearing a piece of clothing I’ve designed in a way I would never have imagined. WOULD YOU STILL WEAR THE CLOTHES YOU DESIGNED FOR THE FIRST COLLECTION? I would, and I still do. I used to wonder why particular pieces have stayed with me so long. I think there is a magic balance of functionality, comfort, and something unique in the design itself that allows each of these pieces to transcend a season. WHAT ARE YOU PROUD OF IN THIS COLLECTION? I’m proud that we have maintained the core of this collection, to serve the women who were often overlooked by the mainstream. To be a voice for all women who prefer to dress in an understated way. It embraces all cultures, religions and backgrounds, and is a reflection of our collective experience. YOUR COLLECTION HAS GROWN FROM A REGIONAL TO A GLOBAL ONE. HOW DO YOU FEEL ABOUT THIS AND WHAT DOES IT SAY ABOUT THE MODEST FASHION MARKET? It’s an incredible thing, but not surprising when you understand there is a strong need for other voices in the fashion industry. There are women everywhere who prefer understated fashion, whether for comfort, cultural reasons or as a reaction to a very body-conscious mainstream. HOW DO YOU SEE HIJAB FASHION IN THE NEXT FIVE YEARS? Hijab fashion is not just one thing. It varies from country to country, city to city, person to person. It is amazing to see the incredible variety of style within this niche and I hope it’s the diversity that thrives. Over the next five years there will be a lot of growth in the hijab fashion industry. Companies which see the potential in designing for Muslim women will invest time and resources into it. Some companies will try and tweak existing designs, or others may recommend a mainstream aesthetic to Muslim women without trying to understand us. But I hope that some will empower young Muslim designers to bring their own take on fashion into the mix.